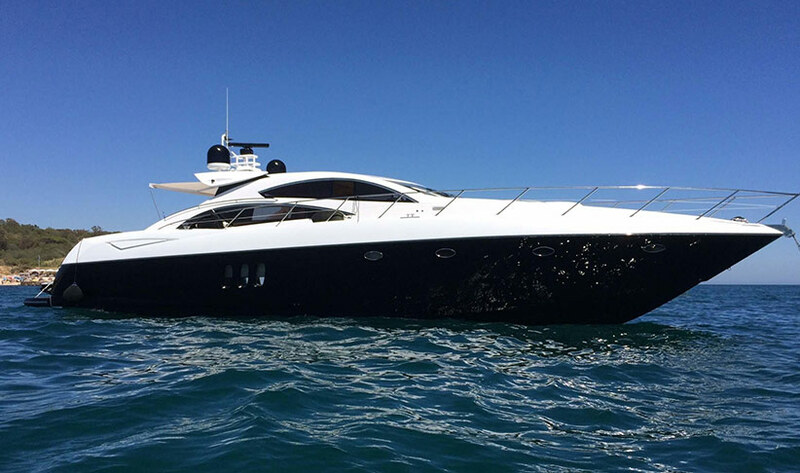 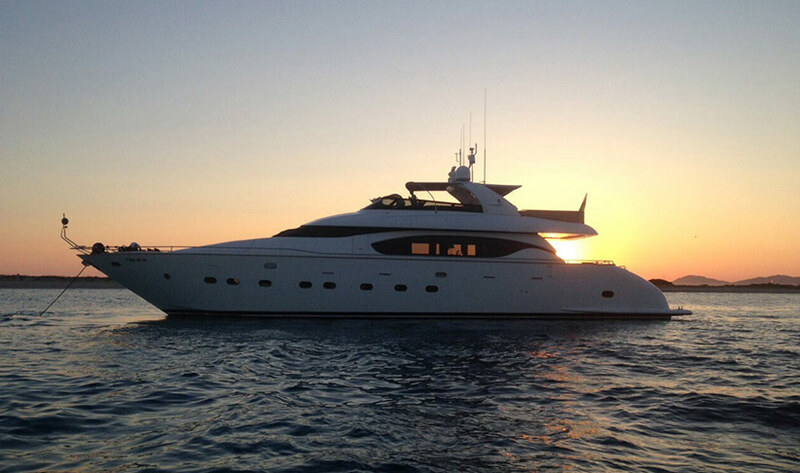 The Maiora 28 is an Italian superyacht, available for charter in Ibiza each summer, moored in Marina Botafoch. 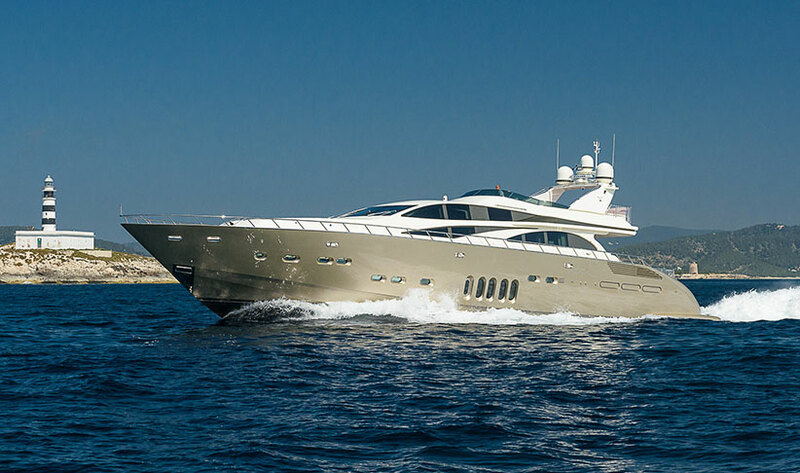 The rest of the year she can be found in Barcelona. 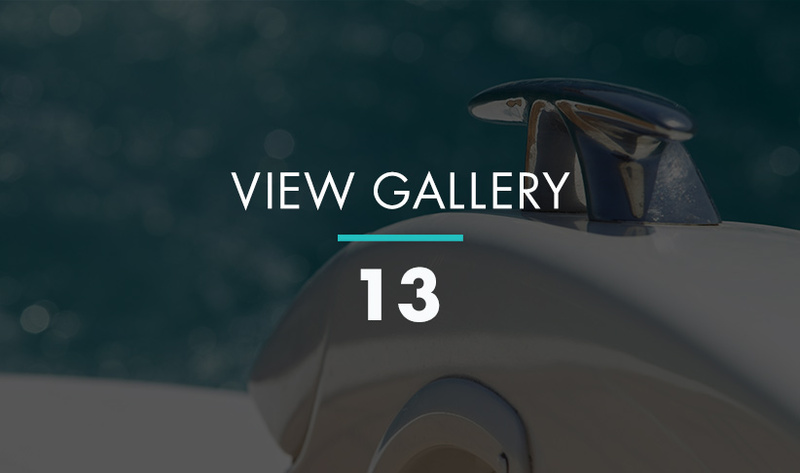 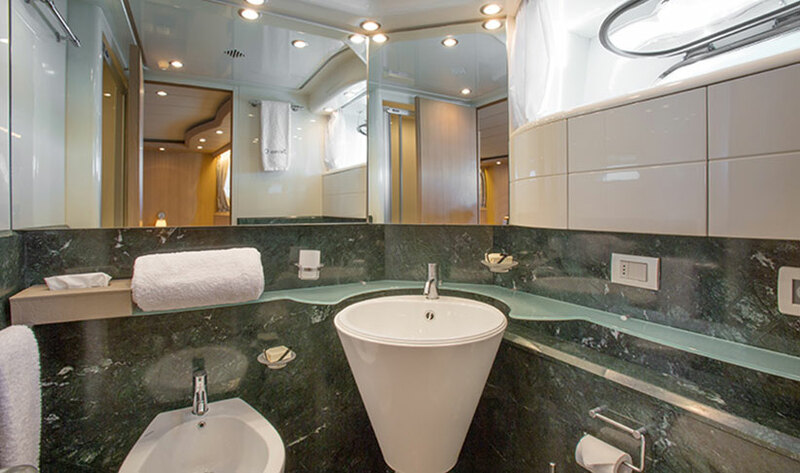 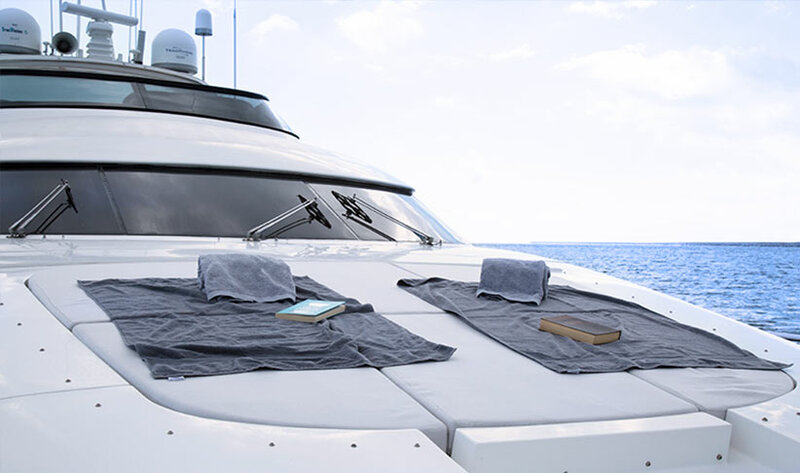 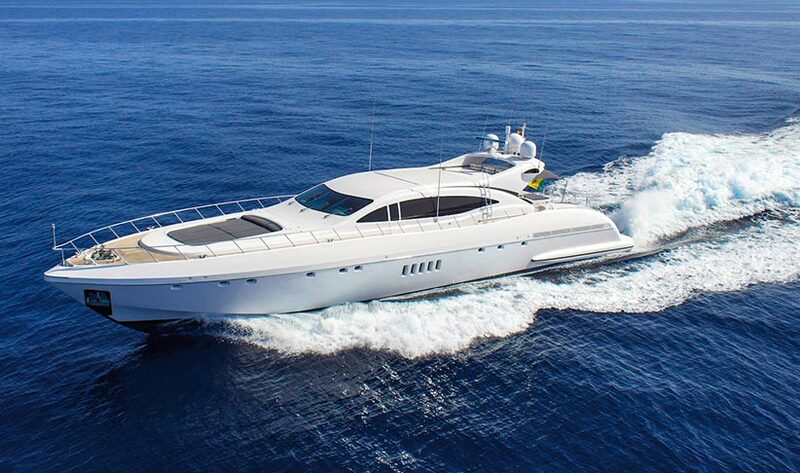 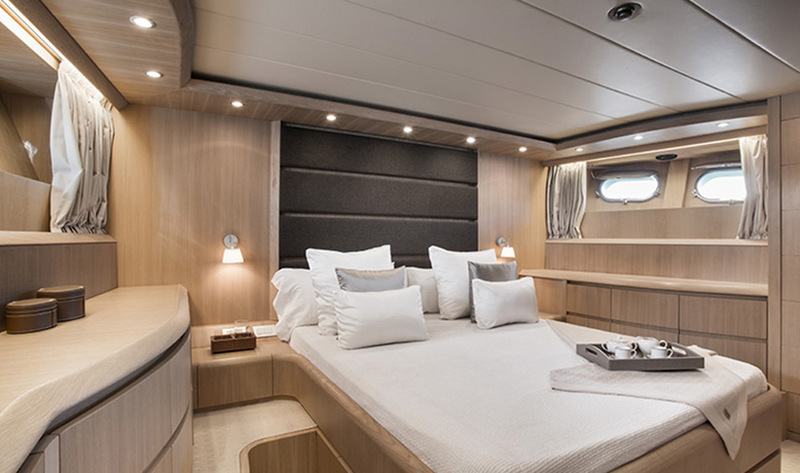 This magnificent superyacht with stylish, contemporary interiors, accommodates up to 10 guests in 4 ensuite cabins, two of them with queen size beds and two with twin plus a pullman bed. 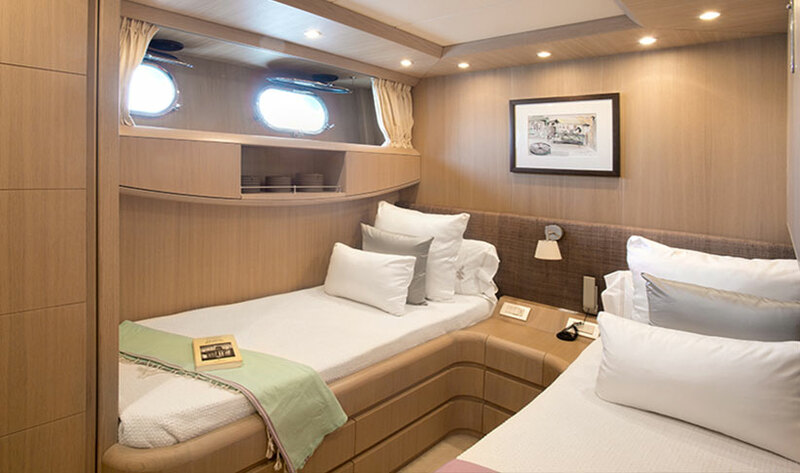 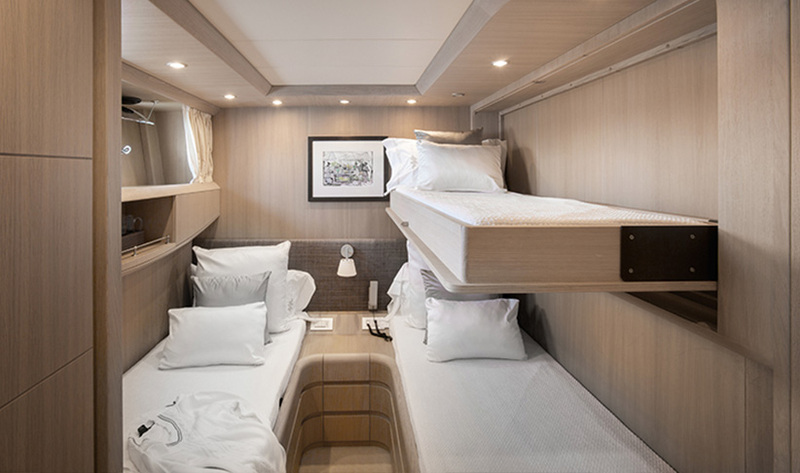 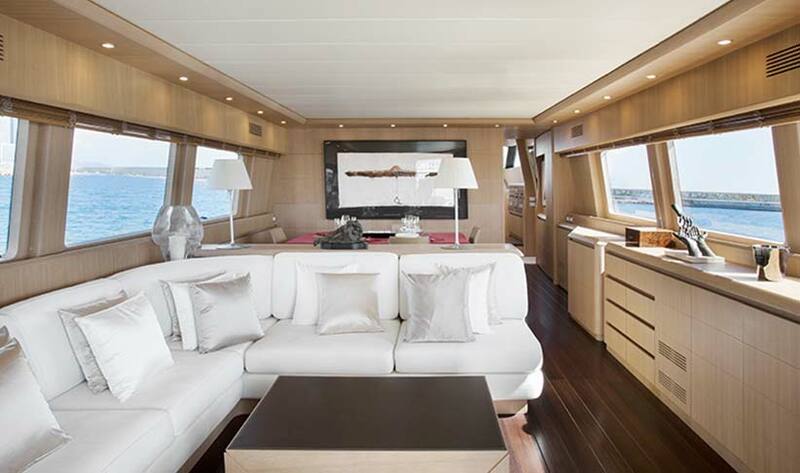 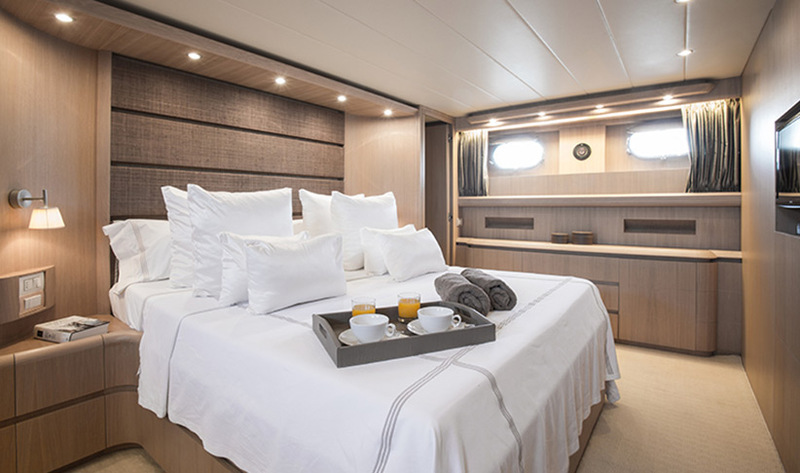 Each master cabin has a flat screen TV and an additional TV can be found in the spacious saloon. 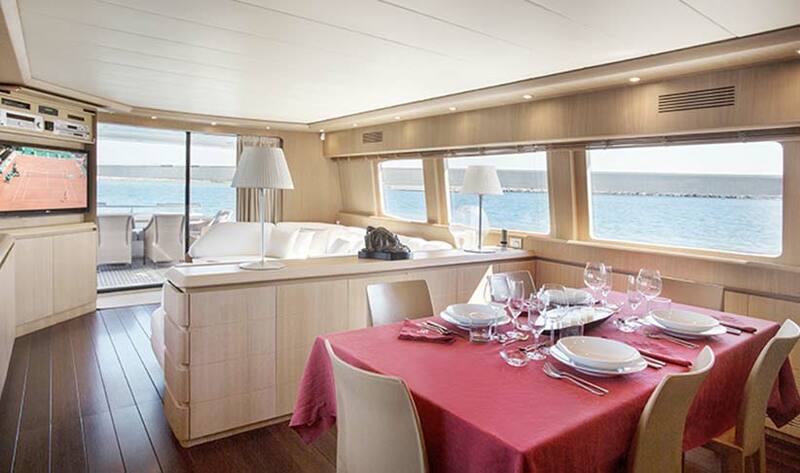 With a length of 28m, there is plenty of space both indoor and outdoors. 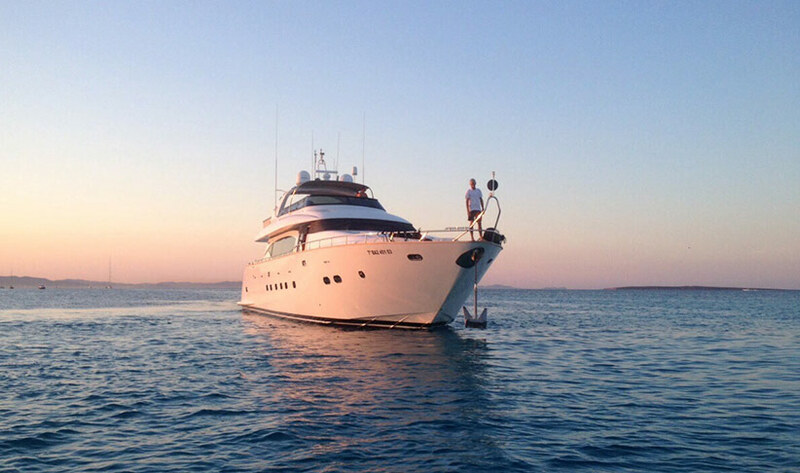 Her staff of 4 is a dedicated team of experienced professionals who work together to create magical Balearic experiences for the guests. 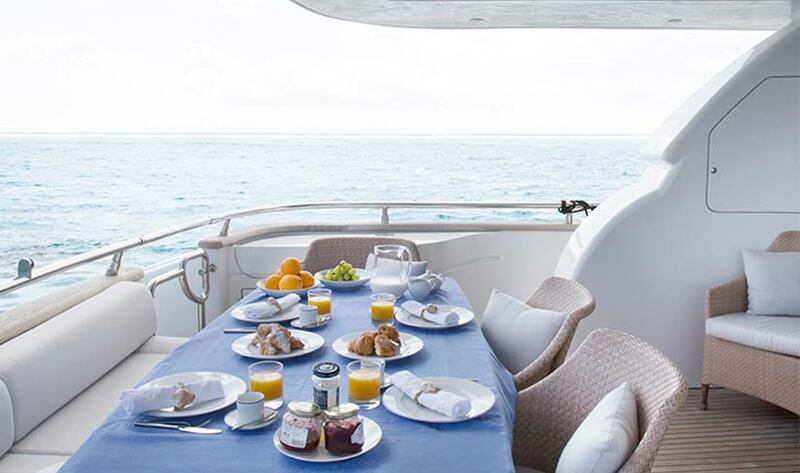 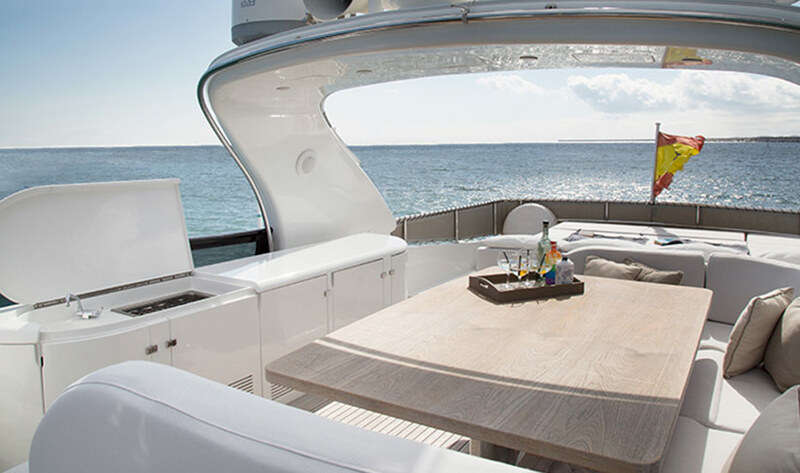 This leaves you plenty of time to enjoy the fantastic sunsets from the flybridge with a cocktail in-hand, followed by an unmissable dining experience, steps from the waters edge. 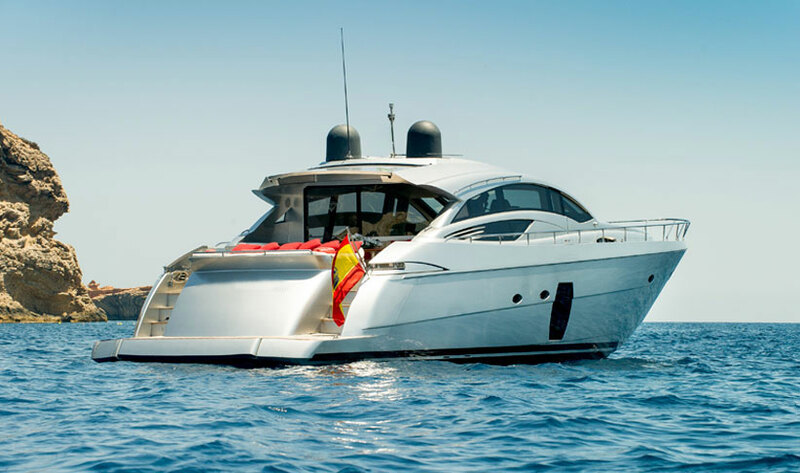 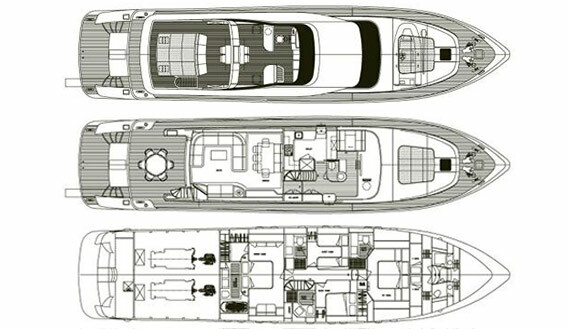 On board there are 2 kayaks, a jet ski, paddle surfing and snorkelling equipment, as well as a tender with outboard motor.